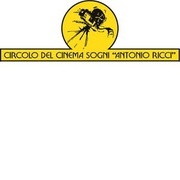 International Short Film Festival "Antonio Ricci"
The 19 th Edition of “Corti da Sogni - Antonio Ricci” International Short Film Festival is coming soon. This small film festival, which made his debut on May 24th, 2000, has become an international event, known in Europe and all over the world. 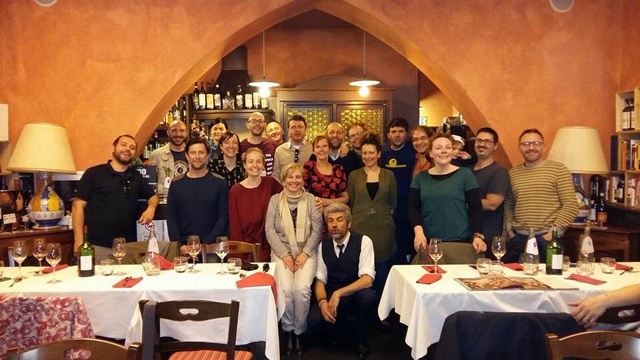 Our Festival showcases thousand of short films from all over the world and hosts directors, actors, producers, with a very large audience which, every year, comes to Ravenna. We are volunteers. Our Festival is dedicated to a friend of ours who was part of Circolo Sogni: he loved movies and loved spreading the culture of the 7th Art. Antonio unfortunately passed away: our goal is to keep remembering him through one of his greatest passions and we’ve been doing this for 19 years. In addition to the Festival, we also arrange film events and workshops in every educational stage, from pre-school to University. We are living in an exciting dream. “Corti da Sogni” Short Film Festival keeps on growing and, to be on top of its wide success, it needs your help to continue this incredible dream. For these reasons, we ask you to support us, in order to arrange a richer and more engaging Festival, which represents a huge opportunity of visibility for so many directors. Dear Friend, our Crowdfunding is an important opportunity to help us create a more beautiful and interesting Festival. These funds will help us arrange the 19th Edition of the Festival, which will take place in Ravenna from May 9 to 12, 2018: four days of projections, with over 60 short films coming from all over the world, and many guests, directors, actors and producers. And more, events with film experts, workshops in schools. We’ll use your donation to cover travel and artistic costs, rent films, cover the costs of the prizes for the winners and to guarantee to our audience a high-quality and high-quantity offer. Thanks to your support to our campaign you can concretely help independent, high quality cinema: the cinema of the future. And you can make us happier than Di Caprio after winning the Oscar! 250 euros budget to cover the costs of renting a space for the closing party. We are all volunteers with a huge passion for cinema and we want to continue exciting all the people and filmmakers that every year come to our Festival. personal thanks on our website. For the first 7 raisers: exclusive entrance to the Festival closing party, which includes the buffet, offered by the restaurant partner, and the opportunity to meet the guests of the 19th edition of the Festival. For the first 7 raisers: the incredible opportunity to be in the jury which is selecting the winner of the 1st Crowdfunding Award during the 19th edition of the Festival.